Dump that dirty old trash can into an even larger one, because it’s time to upgrade! Artists are not content to sit on their hands while the world turns into garbage. Their response? 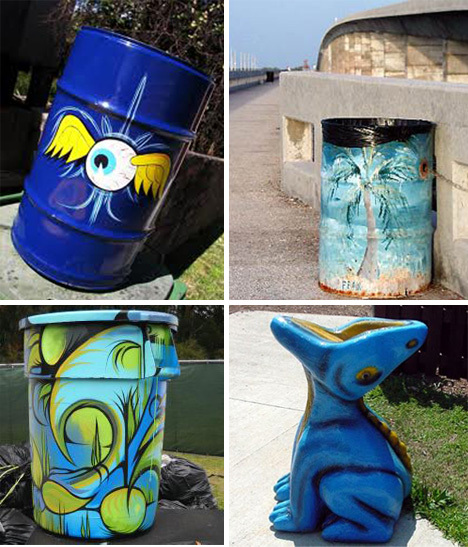 Turn the garbage cans into art. 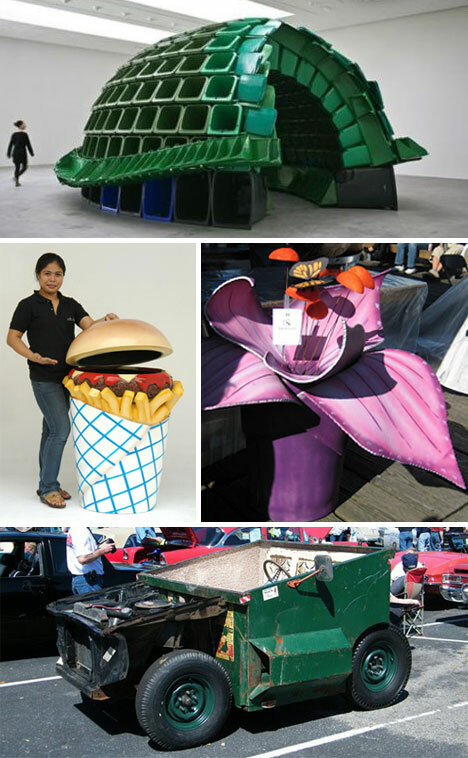 Garbage can modification covers a huge range; from dumpster vehicles to art gallery domes with ecological motives. The real lesson is that nothing in this world has to be boring, not even one of the most mundane objects in our everyday lives. 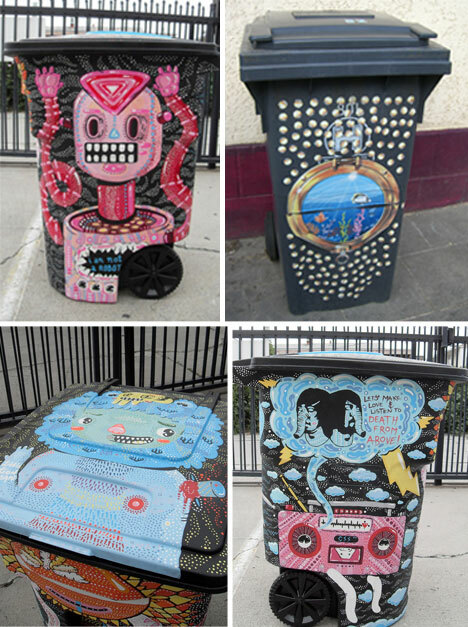 Give an artist the right supplies and they’ll turn the most boring trash receptacle into a creative experience. It’s easy to tell which garbage cans would win my trash. Smashcans are the wave of the future! 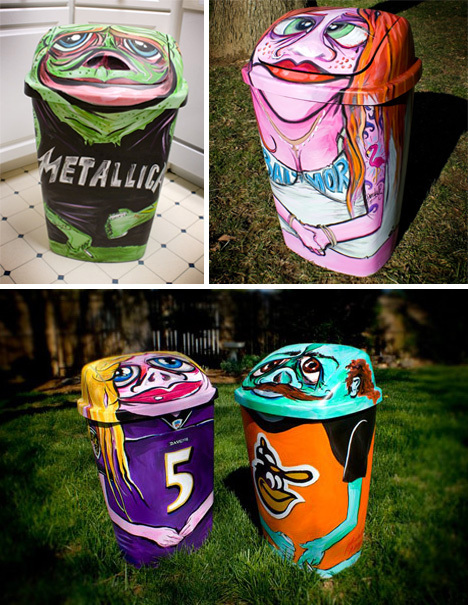 They are normal disposal units that have been transformed into a dysfunctional new member of the family by the Baltimore, Maryland based artist Marshall Adams. Home bins can be turned into something festive. Become the most popular home on your block for the garbage collectors by adding a touch of style. 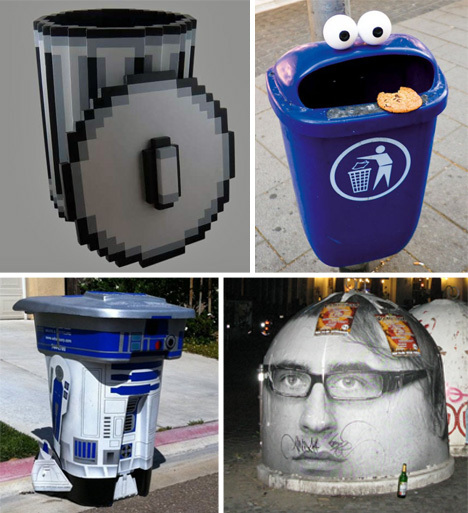 Trash cans are people too! Well, some of them are, at least. Be sure to feed them. 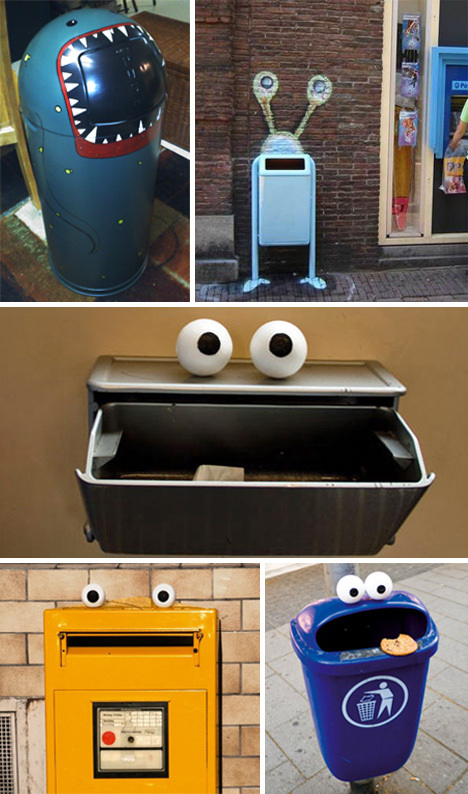 The simple addition of giant eyes to a garbage can is enough to turn them into a fun bit of street art. 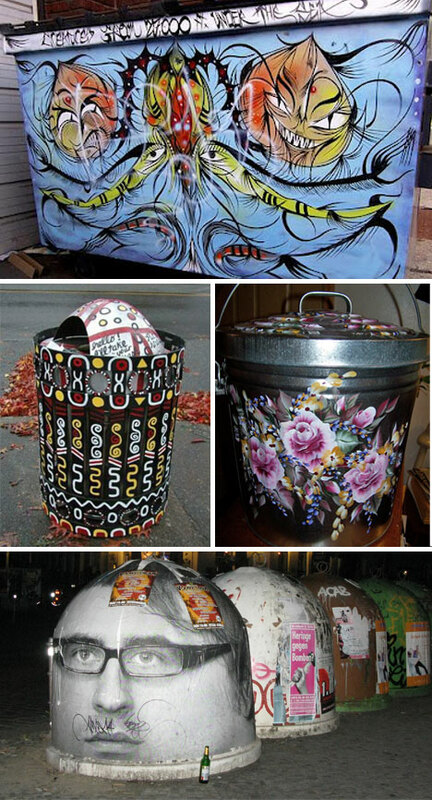 A little paint and creativity can go a long way into turning the streets into a more vibrant and exciting place! Go out and make some change. 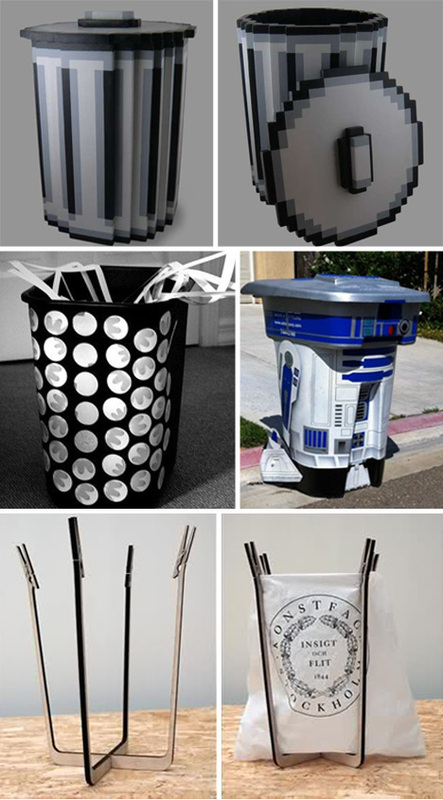 A little style in design could go a long way in making more interesting garbage cans. Be sure to support the movement by refusing to purchase a plastic molded can!